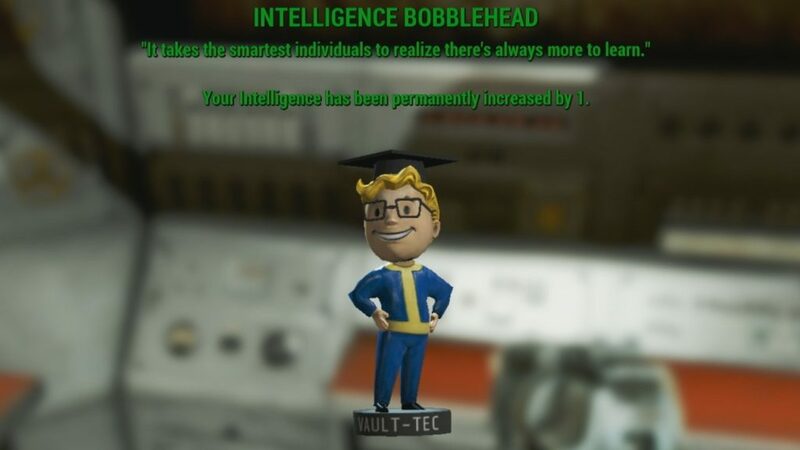 Bobblehead grant specific bonuses, such as improving one of your skills or adding points to some of your S.P.E.C.I.A.L abilities. 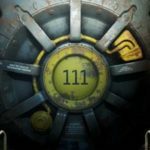 In Fallout 4 there are 20 bobbleheads that require being found in the wasteland that will advance a specific unique skill by a rank each. 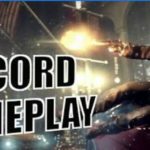 I will guide you on how to reach the bobbleheads and increase your special ability. 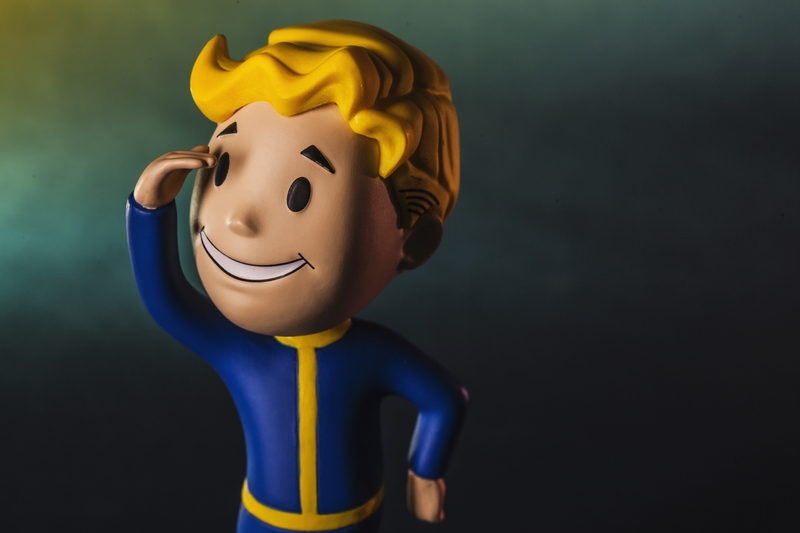 So, let’s find out the Fallout 4 bobblehead locations. 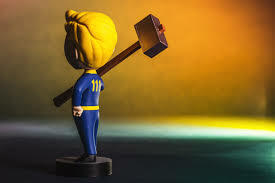 The strength bobblehead is located at the Mass Fusion building. Its effect is that it ensures you receive a plus one strength on your strength meter. After reaching the Mass Fusion Building, head inside but just so you know, if you haven’t already cleared it, it will be full of raiders. Make your way to the top level where you will fight he Raider leader wearing Power Armor. The bobblehead is situated at the top of the statue hanging over the lobby. Climb onto the couch and collect it. Perception bobblehead is located at the Museum of Freedom. It will add you one perception of your special skills. 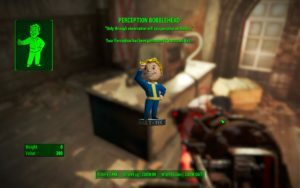 Once you defeat the raiders inside the museum of Freedom in Concord, pick up the bobblehead from the desk at the far end of the room where you first meet Preston Garvey. 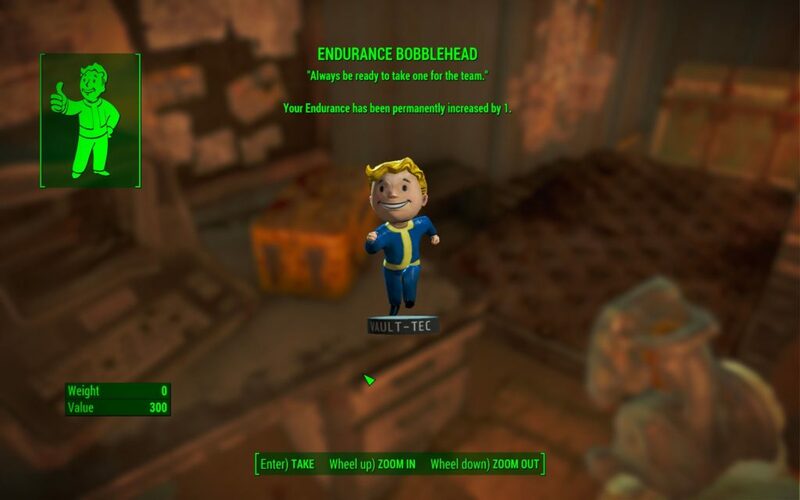 In the Poseidon energy, you will find the endurance bobblehead which will add you endurance to the game. You should head to the south-east corner of the map to reach Poseidon Energy. You will find the bobblehead inside the central chamber, which is a large open-air area with several stories tall. Using the ramp, elevate to the room in the middle and you will find your bobblehead there alongside several enemies. 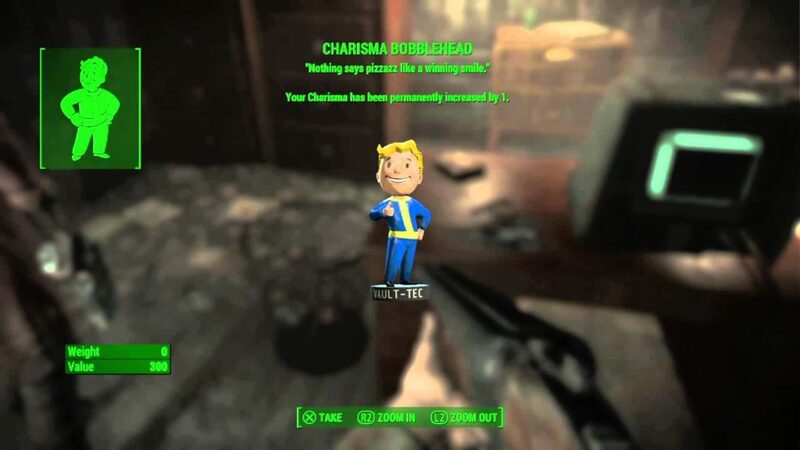 The bobblehead located in the Parsons State Insane asylum is the charisma bobblehead. After collecting this bobblehead, you will increase your charisma point level by one. Using the section of the commonwealth make your way to the Parsons State Insane Asylum. If you haven’t started the quest chain for Mr. Cabot, you will find it hard to access the asylum. For you to access the asylum, you must be at least level 10 and face some mercenaries guarding the asylum. Afterward look for a ghoul named Edward Deegan who will introduce you to his boss at the Cabot House. You then complete a chain of quests until you enter the asylum. Once you enter you will fight some guards and then will follow Mr. Cabot to his office where you will find the bobblehead on his desk. The Intelligence bobblehead is located at the Boston Public Library. You fight your way through the protectrons, turrets and Super Mutants until you reach the large room on the north side of the library’s second floor. At the end of this chamber is a door-pass and through it, you enter and find the bobblehead resting on the computer console in the room. 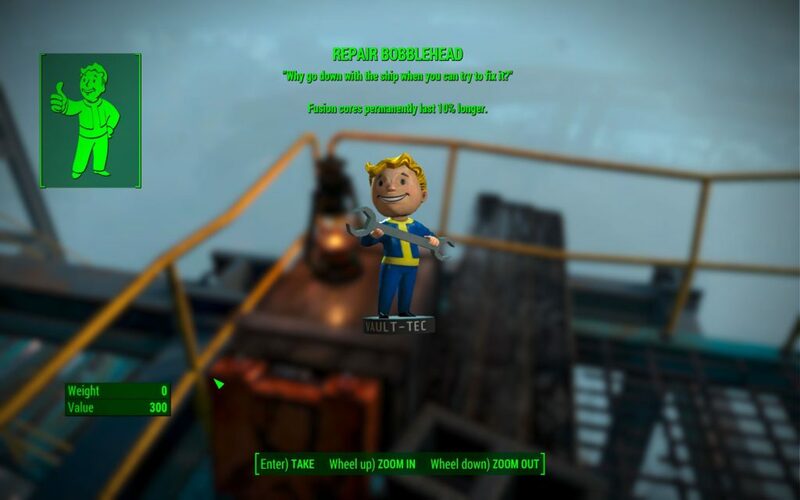 Once you the spectacle island you will find the luck bobblehead. Make your way towards the southern shore and you will be able to collect the bobblehead by entering the wheelhouse of the boat and searching the locker which is next to the steamer trunk. 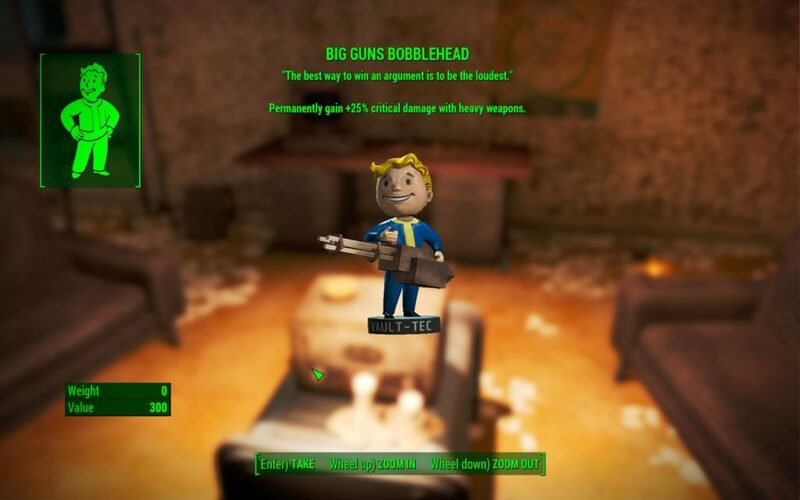 In Vault 95, you find the Big Guns Bobblehead which increases the critical hit damage by twenty-five percent. After fighting your way into and clearing Vault 95, you should head through the door on the right side of the main chamber, then down to the lower residence via the doorway at the end of the hall. Move through the destroyed wall at the bottom of the ramp and go through the door on your right, eliminating any raiders and find the bobblehead on the radio between the couches in the next room. 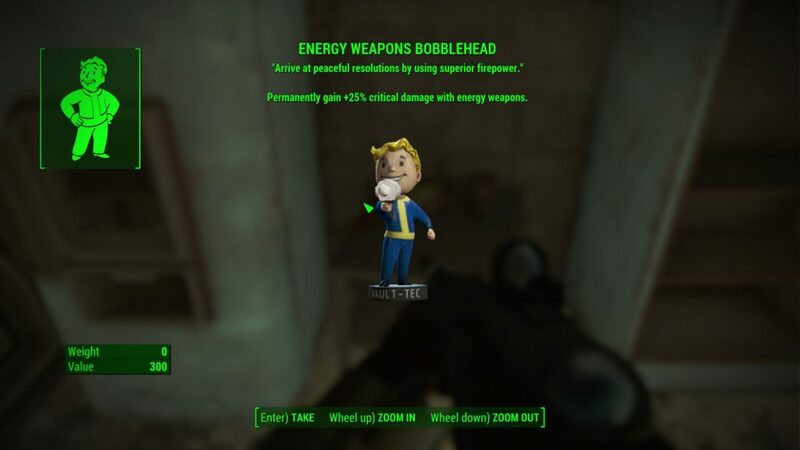 Energy Weapons Bobblehead is located at the Fort Hagen command center which has an effect of permanent gain plus a twenty-five percent critical damage with energy behind it. The bobblehead will be located in the kitchen area sitting in between two refrigerators on your way towards the basement tunnels. You will not be able to access the Fort Hagen Command Centre until you begin the main quest getting a Clue in Diamond City. To gain fifteen percent more damage via the use of explosives you need to collect the explosives bobblehead form the Saugus ironworks. Upon reaching the factory, fight your way through the forgers outside and in the first two chambers. Make your way up the destroyed catwalks in the second room. Follow them to reach the doors to the Blast Furnace. Once here, you will see the bobblehead sitting upon a tall computer, directly behind where Slag stands during confrontations. The melee bobblehead is located in the Trinity tower. It has a twenty-five percent critical hit damage when you use melee weapons. In the cage where Rex and Strong are being held, at the very top of the Trinity tower, you will find the melee bobblehead. You need a couple of elevators before reaching the top floor, which is an exposed, roof-like area. These bobbleheads help the Fusion cores last ten percent longer. They are located at the Corvega Assembly Plant where you go through the inside of the building until you reach a door that exits on the roof. Once up here, follow the blue catwalks until it leads you all the way up and around the giant blue sphere. Here you will spot the bobblehead at the top. 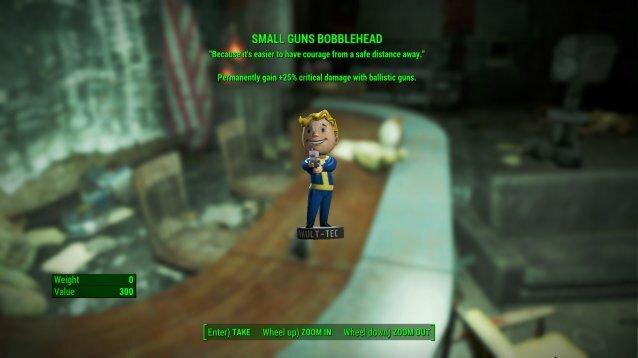 You can collect the Small guns bobblehead at the gunners’ plaza and enable the gamer to hit with a twenty-five percent critical damage when using ballistic ammo. Inside the building, there is a room with a sign above the doors saying on the air. 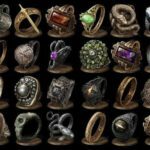 You will be required to be able to pick master level locks to get inside. Once in, you’ll see the bobblehead on the desk. All these special bobbleheads will make your game more joyful and thrilling. 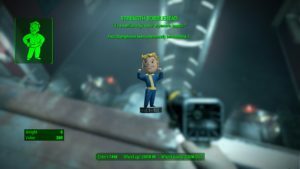 So, be sure about the Fallout 4 bobbleheads locations and raise your gaming experience to an unforgettable level.